Saz has set out a challenge on her blog. "Through Your Interface-Fifteen Days of Screenshots" (link to original post) Drop by for a read and the subjects for each day at her blog and you can check out the comments for more posters. So, this is Day 1: Favorite Hangout, "Find yourself perching in a particular tree as a druid? 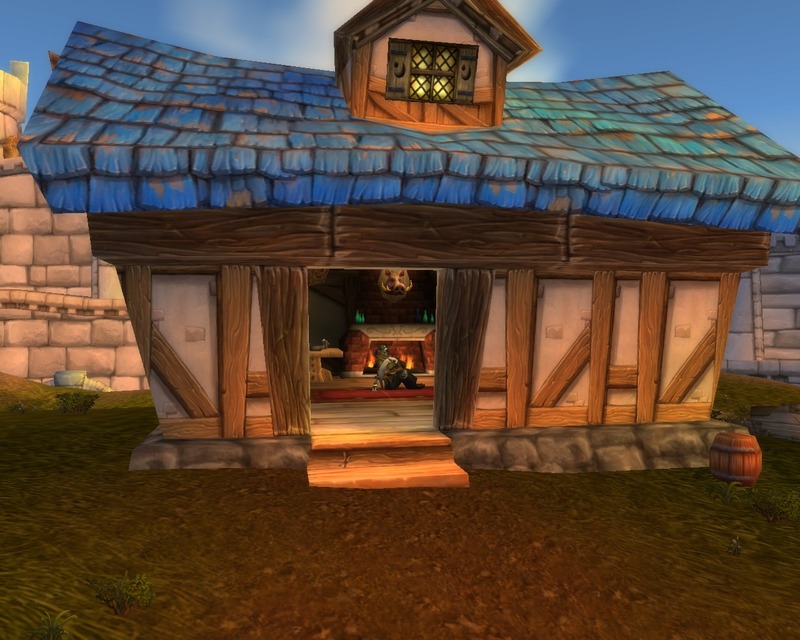 Have a certain hovel you like to hang out in on your undead rogue? Show us where it is, and why your character hangs out there." Sol has obviously been rather reclusive throughout his 85 ages. 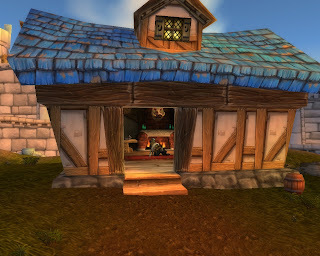 Other than Darnassass or Moonglade, he dislikes most city life and prefers to find some quiet little out-of-the-way place to stay when he does have to venture in. Stormwind is high on his list of dislikes, but by the powers to be, he must brave an existance there due to the portal island. Kaimara, strongly independant, loves traveling the world. She does not call any one place home and will eagerly port to whatever zone strikes her mood at the moment. Sometimes she'll drop in on friends. At other times, she's off to some little known corner to rest and comptemplate world affairs. 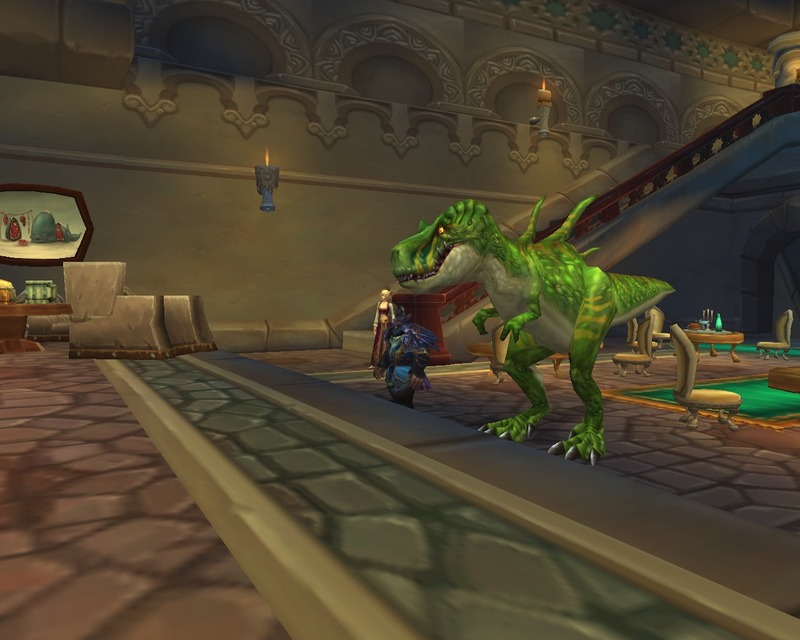 The only "city" Khrox will gladly spend time in is Ironforge. "Nuff said." Of late though, he's found himself in a balanceing act between Dalaran and Stormwind as daily duties call. 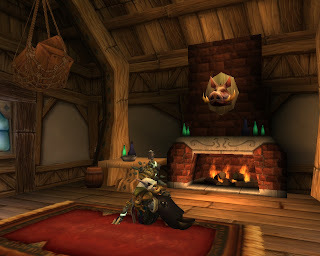 Many nights though, he spends camped out in the wilds of Azeroth, or Outland, or Northrend, enjoying a quiet evening by the campfire waiting for some not-so-willing new companion to come along. Both King Krush and the spirit cat were a bit too confident and showed there faces at the same time, and in each others company! Some help from a guild mate was greatly appreciated for the King's adoption. I love Sol's hideout! That's quite the cozy little house he has for himself there. I also rather like Kaimara's free spirit. 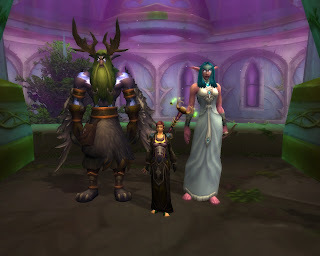 If only my druid could teleport about like Kai does, since she fancies herself a bit of travel now and again herself. I must say, I'm a touch jealous of your King Krush friend. My hunter must seek him out one of these months. Hey Saz! Thanks for stopping by, and starting this wonderful challenge. btw-I enjoy your "Hoarders" posts! I really must give credit to a guild mate who dropped what he was doing in SW, traveled to Northrend, and kept me healed up for King Krush. The rest was pure luck, getting both within minutes of each other. 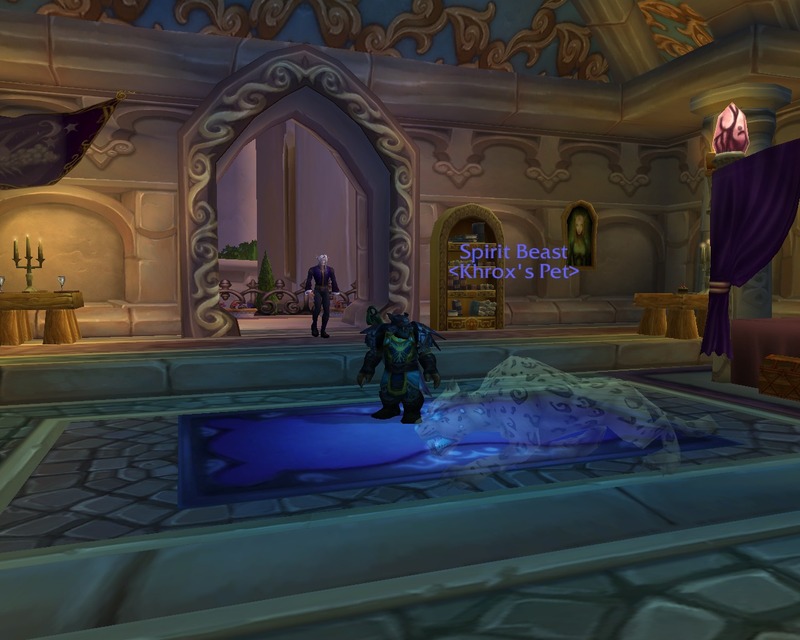 I'm glad there are other Darnassus fans. And I think I'm going to go visit The Temple of the Moon next time my Druid logs in! Yep, Sol still calls Darnassus home no matter where he's at, and Kai loves to stop by there when she can. It's so quiet and peaceful compared to the rest of Azeroth.